Google needs to know the name and locations of all of your web site pages. Without a sitemap, you are depending on Google to effectively crawl your web site and add every page it finds in its index. However, this does not always happen. The solution to this is to create a sitemap for submission and inclusion in Google's database. This also ensures that you give your website and business the best possible chance of ranking online. 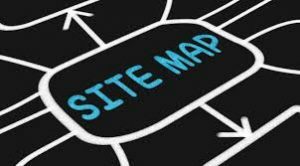 Here's how to create your site map! Go to XML Sitemaps. This site allows you to input your domain name into the generator. Under the "change frequency" options , select "weekly". Under "Last modification", leave it to "use servers response". Under "priority", select "Automatically calculate priority". When the sitemap is ready, be sure to click the link at the end of the sentence that start with "Download the sitemap file here". The other links will copy down unnecessary files in zipped format that you don't need. Clicking the above link will give you a ready to go sitemap.xml for inclusion on your site. Save it to your PC. Last step is to connect to your web space via ftp and upload it into the root of your web site. Google now knows about every page on your site!